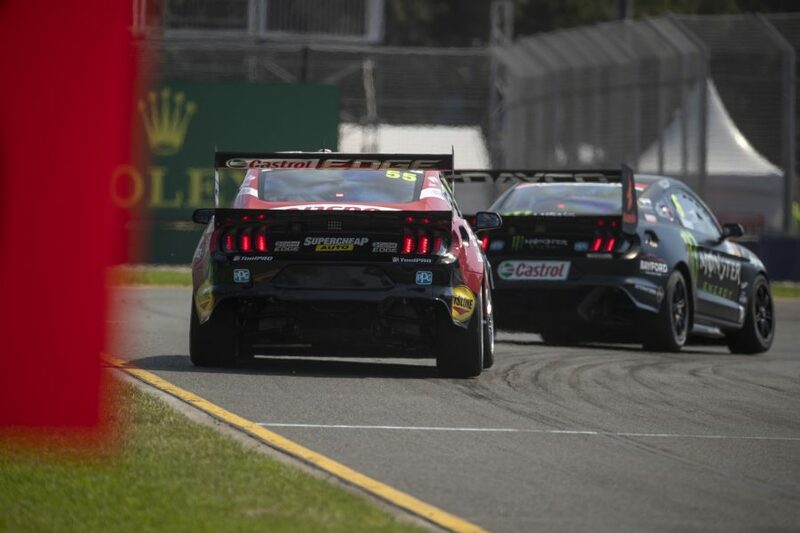 Supercars has moved to equalise the centre of gravity of its competing vehicles, ratifying ballast changes to the Ford Mustang and Holden Commodore with immediate effect. COG testing of 10 cars took place following the most recent event at Albert Park, where the new Mustangs extended their unbeaten run of wins and ARMOR ALL Poles to six. Although still meeting Supercars’ minimum weight requirement, the Mustang had been built to carry significantly more ballast than the Falcon it replaced. Placing ballast low in a car reduces its COG height, theoretically improving cornering ability. Although the magnitudes have not been disclosed, Supercars has confirmed that the testing proved the Mustang and Commodore both had a COG advantage over the Nissan Altimas. The Mustangs and Commodores will therefore run with adjusted ballast from Symmons Plains, placed higher in the cars to raise their COG to meet that of the Nissan. Work on repositioning the ballast was undertaken by Supercars’ technical department alongside homologation teams DJR Team Penske, Triple Eight and Kelly Racing. All Mustang and all Commodore runners must comply to the same repositioning requirements for their respective models, in line with Supercars’ technical parity ethos. The changes were signed off by the Supercars Board today and will be implemented for the Tyrepower Tasmania SuperSprint next weekend. Supercars CEO Sean Seamer said that, although the Mustang had been homologated to the regulations, the change would ensure COG is equal between all models. “The success of Supercars is built on the closeness and spirit of competition. Like the ZB before it, the Mustang has advanced build techniques and technology,” he said. The Supercars Championship is underpinned by technical parity. That is, the sport seeks to minimise any technical differences between models of vehicle in the spirit of equitable competition. Supercars does not pursue sporting parity, which seeks the equalisation of the abilities of participating drivers and or teams. It is important to note the constitution of Supercars includes the premise that incoming models must meet the incumbents. The purpose of this is to ensure those new models do not unduly increase the costs for current teams in pursuit of technical parity. It is this principle which has been the cornerstone of Supercars’ success, producing the world’s best door to door racing with cars competing within tenths of a second. Because of this, Supercars as a series, and the teams that compete within it, must use best endeavours to manage and uphold technical parity as much as is reasonably possible. Each year construction methods and materials used in the development of Supercars moves on. Every new car, logically, brings a series of developments and changes. With those changes, which are within the rules, technical variances between models can occur. The most recent example is the introduction of the Ford Mustang, the first two door car to enter the series. Similarly, the introduction of the ZB Commodore in 2018 brought with it new methods and materials. 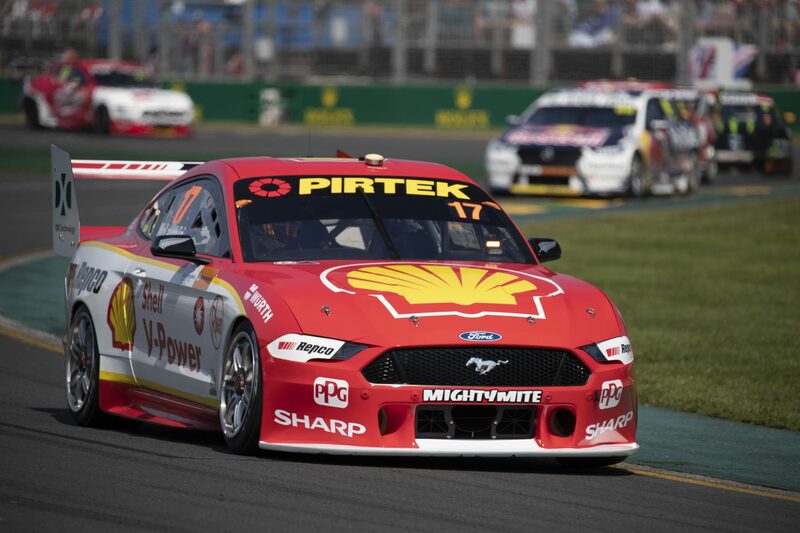 On presentation of the Mustang at Adelaide, the Supercars technical department recorded a significant increase in ballast as compared to the previous model, the Ford Falcon. To ensure competing teams did not have a technical advantage, the technical department, on instruction of the Commission, conducted centre of gravity testing on the 18th and 19th of March in Melbourne. The results of the tests show that the Commodore and the Mustang had a Centre of Gravity advantage over the Altima. These results have been reviewed by the Commission and the homologation teams along with plans to address with the appropriate ballasting of the Commodore and the Mustang to maintain technical parity. The same and equal change is being made to all models. That is to say, there is no change in relative performance between teams using the same model of vehicle, only a redressing of the technical differences between the models in accordance with Supercars’ constitution. The proposal has been approved by the Supercars Commission and the changes will be implemented for Tasmania.